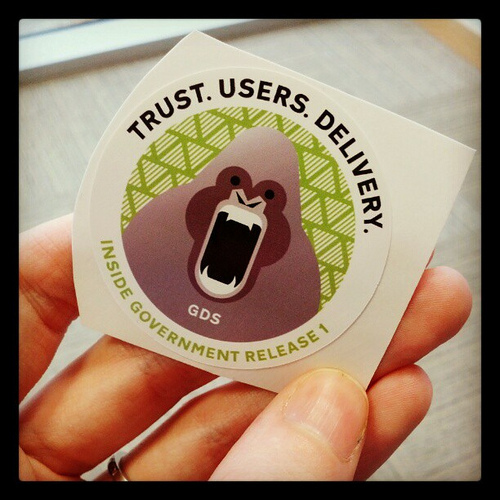 Last month we celebrated the first anniversary of GOV.UK’s launch. Today marks one year since the first two departmental domains were switched over, and the “Departments and policy” section (then known as Inside Government) went fully live. Today we have also hit a new landmark: the 102nd organisation has moved its corporate publishing to GOV.UK which takes us a third of the way to completing the programme of transitioning agencies and non-departmental public bodies onto the site. It's been twelve months since the Department for Transport and the Department of Communities and Local Government moved to GOV.UK, and we shall remain ever grateful to them for blazing the trail. Traffic to the departments and policy section continues to grow as more organisations join: currently it accounts for about 1.5m of the 6.5m weekly unique visitors to the site. The graph below shows departments and policy traffic scaled up for comparison with the services and information section. As you’d expect at this point in GOV.UK’s life cycle, services and information traffic remains relatively constant, and departments and policy traffic is still climbing. So, to paraphrase a festive song that’s already playing in the shops - another year older, and what have we done? Despite the name change, the proposition remains as it was. The departments and policy section of GOV.UK seeks to make it simpler, clearer and faster for people to find out how government works, see what it’s doing and get involved. And we've come a long way towards doing that better in the past 12 months. The site is now home to 102 organisations, which means users can now easily find those organisations’ content by theme and in consistent formats without trawling separate domains. Between them these organisations published 4,400 new or updated pages in the past 30 days (that’s around 145 things a day). Consultations from all central government bodies are now routinely published to the site, meaning our consultations page is a comprehensive source of opportunities to participate formally in policymaking. We’ve made the consultation format much clearer too. We’ve evolved the ways users can browse content, with improvements to the topic pages and a new “collection” format for curated lists of closely related content. There are also many more ways for users to be notified when things change. Around 250,000 people are subscribed to GOV.UK’s email alerts across 7,415 specific mailing lists: more than 2m subscriptions in total. Our responsive HTML publication format, which we hope will become the new default format for government publishing, has improved dramatically as have the publication summary pages that house them. 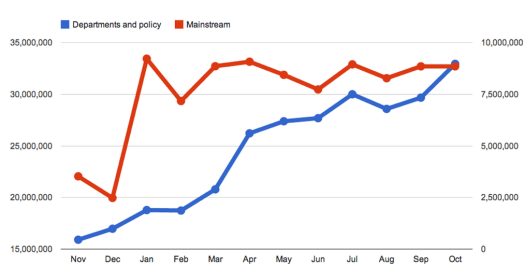 37% of visits to the departments and policy section involve looking at publications. A lot of what we’ve done is behind the scenes. 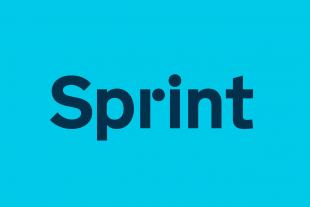 We’ve made the publishing tools (now used by more than 1,000 people around government) easier and faster to use, and we’re working collaboratively with publishers to raise the standard of the content they produce. There is plenty of room for improvement, and huge potential to achieve profound change by continuing to develop this shared publishing system for the whole of central government. The site as a whole is a constant work in progress, and we’re excited about where ongoing iteration will take us. Our vision for 2014 and beyond is to make content in the departments and policy section much more democratic, transparent and reusable to better meet users’ needs, and to improve the quality and efficiency of content production. Stay tuned to the Inside GOV.UK blog for updates on what we’re planning and working on. And of course we’ll be completing the transition of nearly 200 more organisations’ web presence to GOV.UK. Keep an eye on the the transition team blog for news as that unfolds. Happy birthday to DfT and DCLG and everyone who has worked on the departments and policy section, past and present. Follow Neil on Twitter - @neillyneil. 'Done' photo by Ross Ferguson, while Frances Berriman took the photo of the slightly terrifying Inside Government sticker. Congratulations Neil and team - what a ride it's been! I'd like to extend those congratulations to all the people in digital and policy teams within Depts, who transformed their way of working in a short space of time. It couldn't have happened without them. Thanks for documenting the process you have been through with Gov.UK over the last year. Has been challenging and inspiring to see what you have been doing. Hi Neil, it's an outstanding achievement considering the number of agencies and volume of content both to migrate and what's been published since. First, roughly how many people has it taken to migrate the 102 agencies? Second, approximately how much of the 145 daily changes goes through the second set of eyes process? How does a U.S. admirer get one of those stickers? They are great! Well done folks. It was great to be a part of something so important. Keep up the good work! Neil, what can i say, the last year has just been full of fun! !